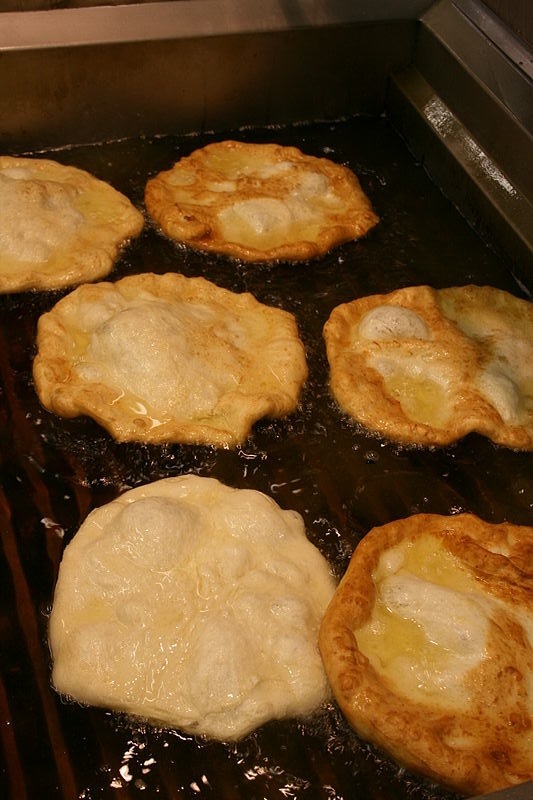 Do You Know… | Food E.
Does anyone know what I’m talking about when I say “fried dough”? Around these parts, people respond, “You mean funnel cake?” No. I don’t mean funnel cake. If I MEANT funnel cake I would have SAID funnel cake. …I don’t have many friends. In any case, I mean fried dough. Literally a slab of dough, fried, sprinkled with cinnamon and sugar. I have walked street fairs and ballparks in search of this summer treat with no such luck. Is this a Rochester thing, like white hots and Wegmans? Does it exist in New York City? Can anybody help me?! Seriously, if you know of an establishment in New York City that sells fried dough, lay it on me. I’ll send you a nice little thank you in the mail if you do. …have you had zeppole? They can be found at most pizzerias. Fried dough, topped with powdered sugar. no, i haven’t! but i’m gonna try it now!! Sounds like what my state fair calls and “elephant ear”. Fried dough topped with cinnamon and sugar and relatively large in size. I’d give you size specifics but I haven’t had one since I was a kid, and when you’re a kid everything looks HUGE.